Fellow blogger Mzeecedric recently bought himself a new DELL notebook and if I remember well, the first thing he did after starting his new computer toy was to format the main partition in order to install his own software and preferences. Having mentioned that, I today came across an older fellow student (born in 1962!) who desperately tried to get her CV and job application letter she’d compiled in MS Works format (*.wps) emailed to a future employer. Now, that very same woman recently bought a brand new AMD Turion64 notebook (100 GB HDD; 512 MB RAM) with LOTS of additional accessory like this really cool hybrid (digital + analogue) tv tuner + remote control from a supermarket sale for the sum of EUR 999,- …and actually, the only thing she really knows about this machine is how to start it. I helped her to install the OpenOffice 2.0 suite and showed her how to convert her files into PDFs as well as how to email them via her yahoo account, etc…. 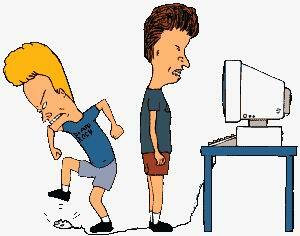 During all these years of free computer consultation for others, I’ve often come across typical user statements such as “Oh, maybe I should buy a new computer because the old one has (software) problems” or “Oh, I don’t understand this, it doesn’t work, but I’ve invested a lot of money in it so it should work….”. I am sure a lot of geeks out there have experienced similar stories, and one is often tempted to mention that it isn’t the computer or faulty software to blame, but instead incapable users who on one hand invest a lot of money but on the other hand expect these machines to function with the ease of a simple tv remote control. And it is not that “we” know computers that much better – there are also a lot of software questions I am having and which I’ve often tried to ignore (like doing comparatively simple stuff in Office suites). It’s just a matter of approaching technical issues, and having an interest to spend some time in front of these machines figuring out how to solve certain problems. We are having the year 2006 now, computers and their operating systems have come a long way, things may have improved over the years, but at the same time these machines have become more and more complex – and users have often given up trying to understand how things work. Mind you – I am talking about engineers, that is, about people who are supposed to have an analytical approach on technical issues. That above mentioned fellow student is a fully certified civil engineer who has also been working as a carpenter for more than 20 years. The reason I am mentioning all this is because I am still flabbergasted at the fact that the industry apparently tries to make computers, cars, mobile phones, PDAs, etc. more and more complex – but at the same time often neglects the fact that users just want to use their systems without worrying about technical details. Sure, there ARE interesting developments on the market – even Windows XP isn’t that bad and simple to use. Cars (except of course for BMWs :-) have simple menu-driven user interfaces on their navi systems, and it won’t take much for future generations for getting used to such systems as they are growing up with mobile phones and other gadgets. BUT! – marketing tells us to get our hands on better & faster machines, to invest again into complex systems that take us one step further away from the initial idea of just using technology for simple needs. In other words: it sort of brakes my IT-shaped heart when I come across such lost users like this fellow student who invested a lot of money in a brand new computer whose full potential she is never going to use. Is this the progress we’ve been working on? The bloating that Microsoft Office has seen in the last three versions of the suite is unbelievable. I was looking through obscure Office menus the other day and the number of random, (I daresay unusable) features that lurked beneath the surface was startling. Well, let’s hope all that talk about making Office 12 cleaner and more useable isn’t mere hot air. I stopped by because the issue of sending out a CV was something that came up this week for me via my Internet contacts. I was wondering if it really is a small world and the same person. Most probably no. Count me in the hoarde who only wants things to work without too many techical details. Bless your patience. I don’t have Word. But I often get documents in Word that I’m supposed to go through and offer suggestions and revisions. So much needless formatting bugs me. Too often it detracts from the message rather than makes meaning. In evolution of species various expressions have risen and been cast aside, but it seems nothing is ever wasted. Some of the features that are seemingly useless or nearly so sometimes become important in ways they weren’t intially envisioned. 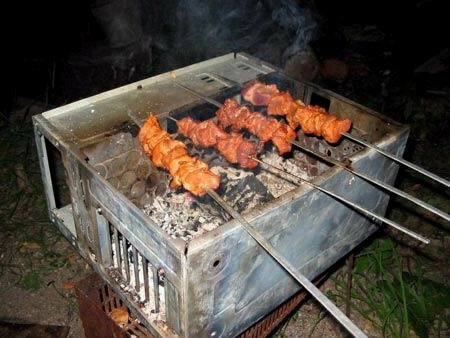 now i wont feel so bad when my computer dies – i can use it to bbq my kebabs!